Keith Faust knows there’s no ordinary Sunday when you have no ordinary family. 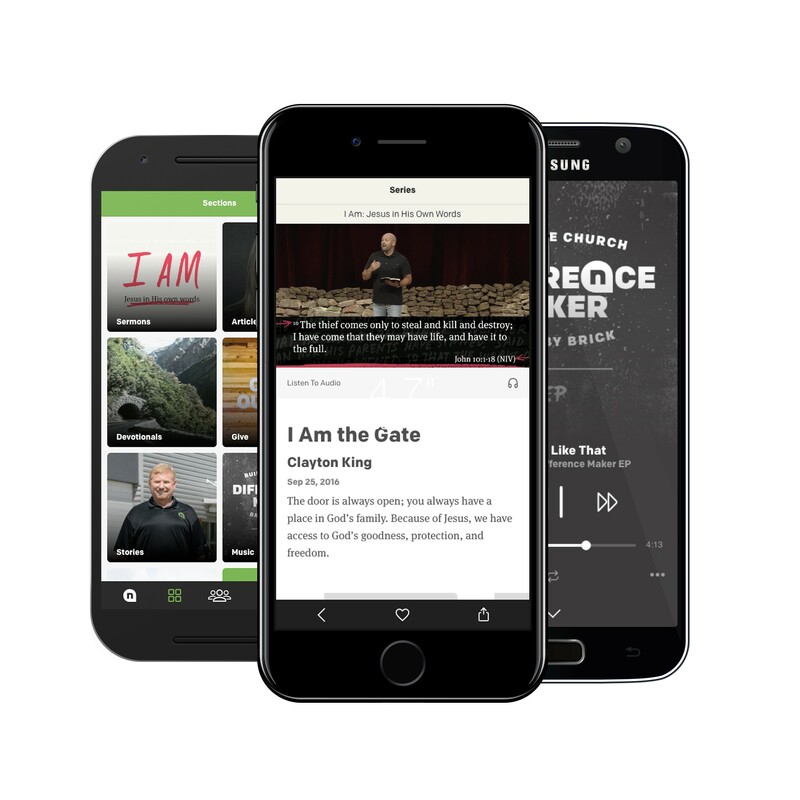 A hands-on prayer for healing at the end of a NewSpring gathering is one of the reasons he’s still alive. And that’s a lot to be thankful for. Right then, amid dozens of people seeking prayer all over the auditorium, Keith walks to the front of the stage, with his wife, Somer, a few steps behind him. 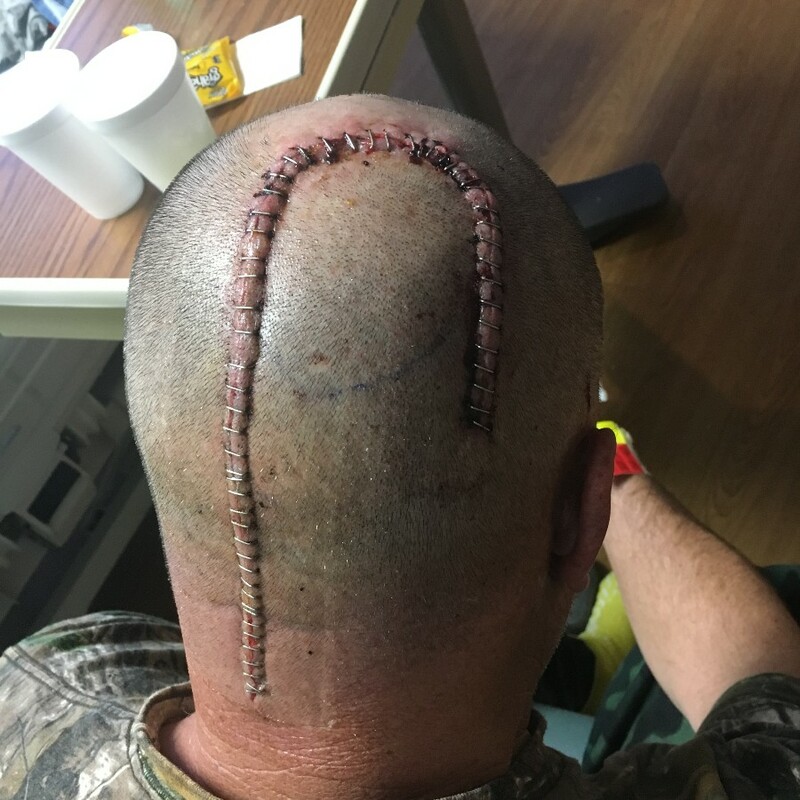 At the beginning of 2018, Keith had brain surgery to remove two of four brain tumors. 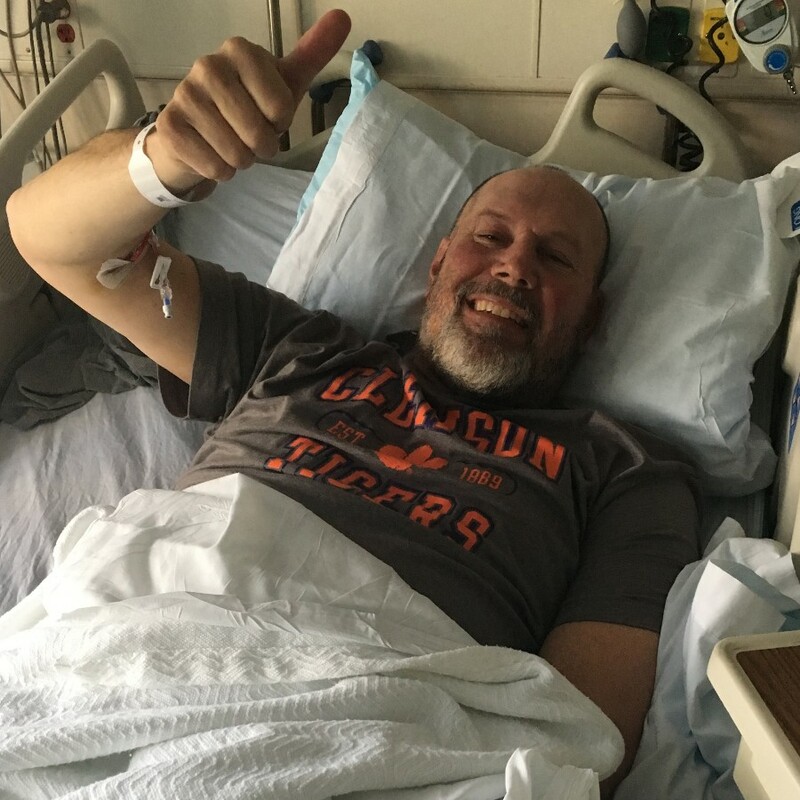 Then, two weeks before the service that day, two fast-growing tumors had returned, bursting blood vessels, paralyzing him in the left arm and left leg. Clayton King sees Keith approach the stage, and he gathers people around to lay their hands on Keith and pray. Six months later, on the same stage, Clayton celebrated that miracle in the “Testify” series. The tumors are so small that they’re impossible to radiate, and they’re still shrinking. 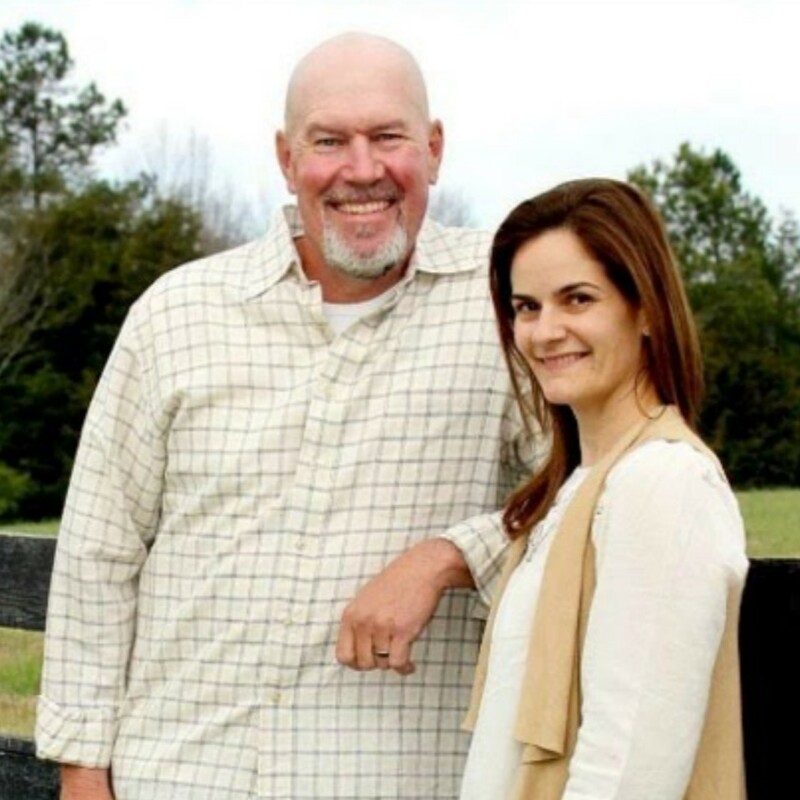 Keith and Somer have served and worshipped at the Anderson Campus for more than a decade. The couple has two girls, Taytum, 7, and Aspen, 6. 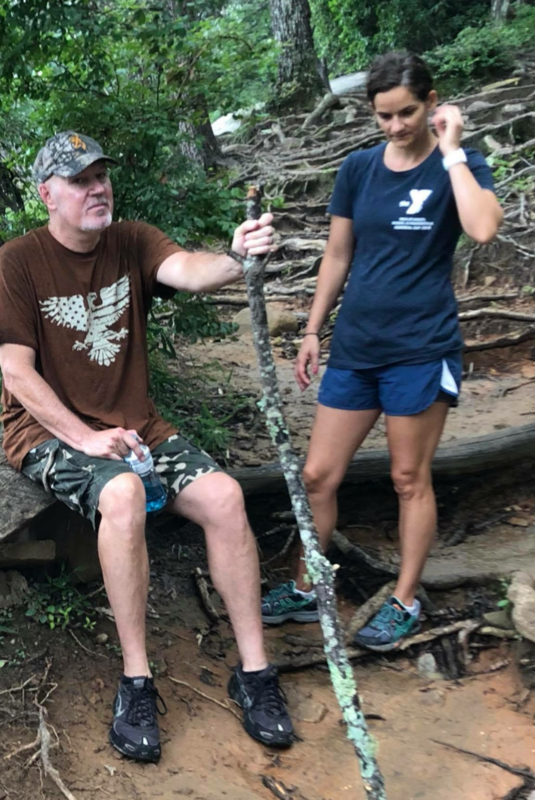 The first signs of Keith’s melanoma were nausea, dizziness, and high blood pressure — so bad he couldn’t get up the steps in his home. He spent Christmas Eve 2017 in the emergency room doing CAT scans and MRIs. A week later, he was in surgery to remove the two biggest tumors, which were the size of nickels. 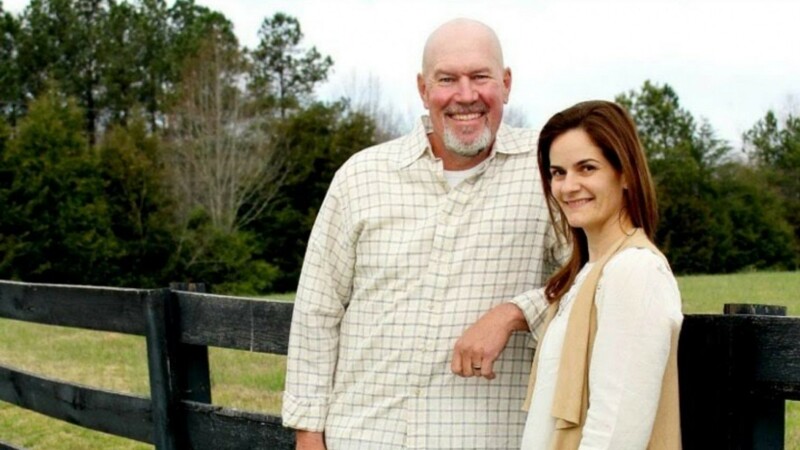 Keith knew God was at work when the doctor’s estimate of a week in intensive care turned out to be just one day. He was home watching Clemson play in the college football national championship game a few days later. The doctor’s estimate of three months of rehab from surgery proved to be true, though. It was brutal, especially the radiation therapy. 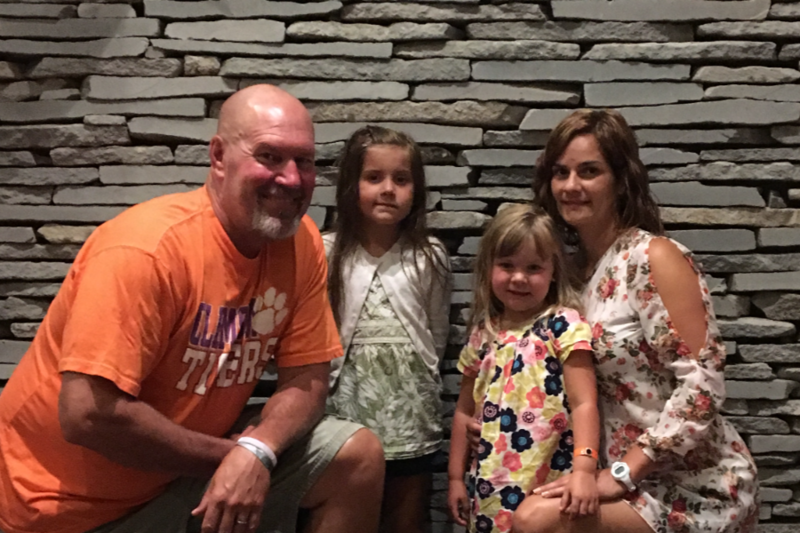 Part of Keith’s cancer treatment included chemotherapy with a new type of immunotherapy cancer drug called Keytruda. Although it was targeted to small spots of cancer that were also found in his lung, the drug not only shrank those by 50 percent, but it also traveled unexpectedly to the brain and worked there, too. The chemotherapy will continue, but doctors are only monitoring him now that he is cancer-free. “I think it was 90 percent prayer, and maybe 10 percent medicine — and all God,” Keith says about his healing as a whole. 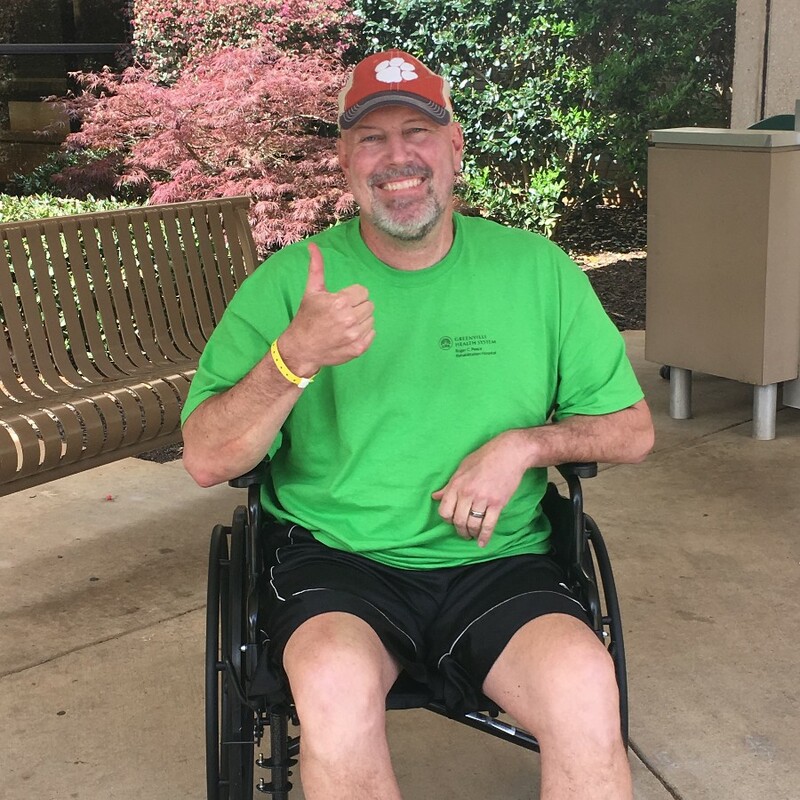 Keith’s cancer forced him to take permanent disability, leaving his maintenance job at Furman and the coworkers he loved, after 20 years. The partial blindness that followed the surgery and the paralysis that followed the bursting of the tumors is being slowly reversed. He still needs to watch his footing because his balance is off. He’s still missing vision in his left side, and he struggles with short-term memory. But he believes all of that will be healed in time. Keith loves the outdoors. This fall, he was able to get back to some hunting and fishing. He was also got to hike all the way up and down Table Rock, although he admits it was scary, especially after a shower left the ground slick with rain. One of the things Keith’s still sad about is that he can’t pull wagons in KidSpring like he used to. His volunteer team was supportive during his medical troubles, literally circling the wagons for him in prayer. But physical limitations won’t stop Keith from smiling and greeting at the KidSpring doors. After all, Keith’s got a lot to smile about.